Tiny crystals on top and darling crystals at the bottom of the swaying chains create little sparkles of light when you wear this fabulous and fun pair of Shine Earrings. 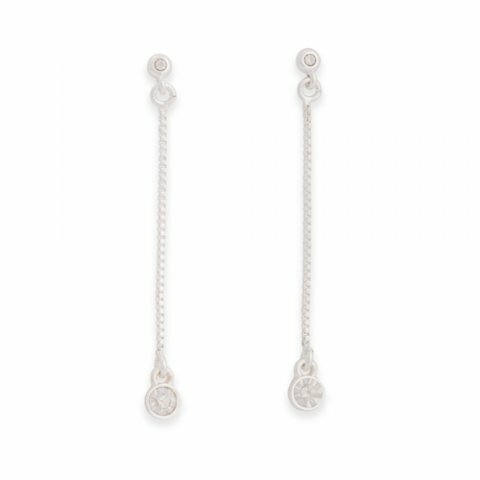 Chic enough to be dressy, but understated enough for casual attire, these are sure to become your everyday earrings! These are light as a feather! A simple look and an easy choice to add that little bit of shine/glimmer when I wear my hair down. I wear them to the office, but have worn them as a great accessory for a wedding or formal wear too!